Do you want to improve your farming skills and satisfy all your farming needs? Do you want to upgrade your game and add more vehicles? With our App - you can do it easily. 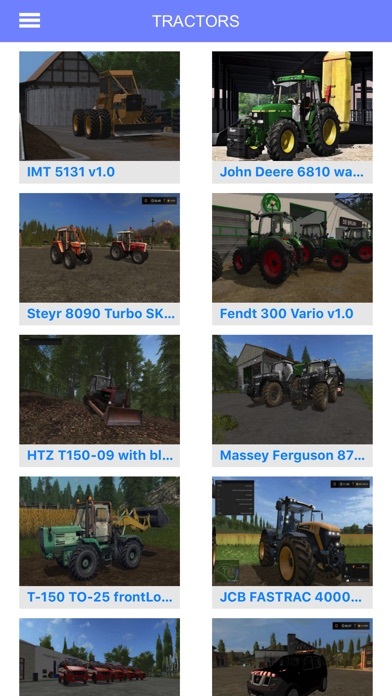 We hope to provide you the easiest way to find the particular mod Farming Simulator 17. 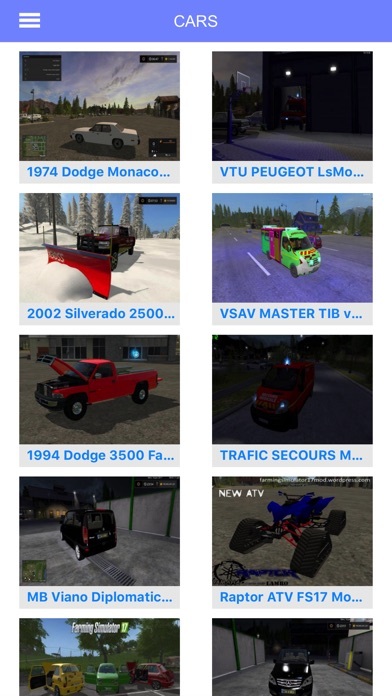 Just take a look to our App and you will be overwhelmed by the number and variety of mods. Don’t wait no more! 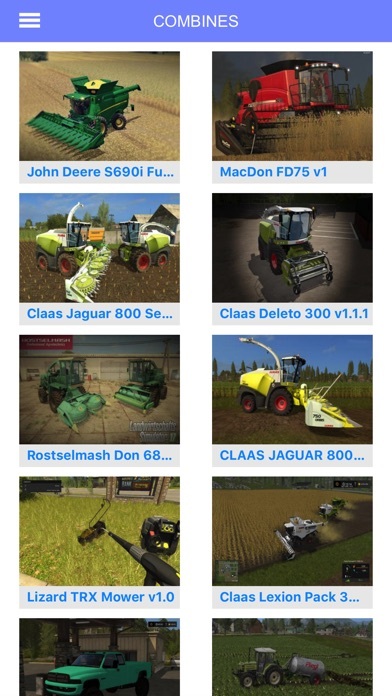 *MOD CATEGORIES: - All Modifications - Cars - Combines - Cutters - Forklifts & Excavators - Implements & Tools - Tractors - Trailers - Texture - Trucks - Vehicles - Maps - Objects - Textures - Skin - Packs. *NOTES: - Mods are updated every single day.